Sławomir Nałęcz graduated in sociology from University of Warsaw. Since 1997 he has taken part in the Johns Hopkins Comparative Nonprofit Sector Project as data expert for Poland (co-author of Defining the Nonprofit Sector: Poland (2000) and the chapters on Poland in Global Civil Society, volume 1 (1999) and volume 2 (2004). Since 1999 he has worked in the Institute of Political Studies, Polish Academy of Sciences, where he elaborated his Ph.D. dissertation Social Role of Nonprofit Sector in III Republic of Poland. Simultaneously he lectured at nonprofit university Collegium Civitas where he co-authored the pioneer curriculum concerning non-profit organizations (Sociology and management of nonprofit organizations). Between 2006 a 2008 he was leading a research team of the project “We have jobs”; the research resulted in the first book providing comprehensive data on Polish social economy and its subsectors (Nałęcz, S. (ed.) Social Economy in Poland. Research Results 2005-2007, Institute of Political Studies – Polish Academy of Sciences, Warsaw, 2008). 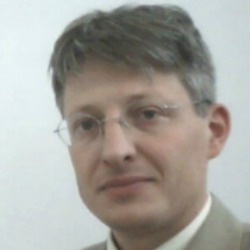 Between 2008 and 2014 Dr Nałęcz held the position of deputy director of Social Surveys and Living Conditions Department in the Central Statistical Office of Poland, where he was responsible for statistics on education, health care as well as for the third sector and volunteer work statistics. In 2009 he prepared The Strategy for the development of official statistics on the third sector and social capital, which was adopted by the Board of Public Statistics. During this period Dr Nałęcz led the research work on implementation of the Strategy, which resulted in several publications on the development of social and economic assets of the major components of the nonprofit sector and social economy (e.g. Nałęcz, S., Goś-Wójcicka, K. (eds.) Third sector in Poland. Association, foundations, faith based organizations, organizations of business and professional selfgovernment and employers unions in 2010, Central Statistical Office, Warsaw, 2013). Between 2010 and 2014 he was engaged in working out and promoting the methodology of volunteer work measurement (member of Technical Expert Group on the Measurement of Volunteer Work, expert to European Economic and Social Committee for the opinion on Statistical tools for measuring volunteering, speaker at 5 conferences within the European Volunteer Work Project, leader of the team which carried out implementation of the measurement of volunteer work in Central Statistical Office of Poland, co-editor and co-author of the book Volunteering through organizations and other types of unpaid work outside own household – 2011 (published by Central Statistical Office, Warsaw, 2013). In years 2014-2016 Dr Nałęcz has been taking part in the EU 7th Framework project Third Sector Impact working on the widened definition of the Third Sector in the context of Poland as well as estimating and analyzing data for the non-profit sector, cooperatives and other social economy entities for the Third Sector/Social Economy as well as for several fields of the sector activities (Leś, E., Nałęcz, S , Pieliński, B. Factors of Growth and Obstacles for the Third Sector in Poland. Conclusions from the TSI Research, Elipsa Publishers, Warszawa, 2016). Nałęcz, S., Bartkowski, J.,(2006) Social and Economic Potentials of the Civil Society Organizations in CEE after 1989. In: Eliason, S. (ed.) Building Civil Society and Democracy East of Elbe. Nałęcz (ed. )(2009) Social economy in Poland. Results of the research carried out between 2005 and 2007. (Gospodarka społeczna w Polsce. Wyniki badań 2005-2007). Instytut Studiów Politycznych PAN (Institute of Political Studies at Polish Academy of Sciences), Warszawa. Nałęcz, S., Goś-Wójcicka, K, (red. )(2013) Volunteering through organizations and other types of umpaid work outside own household (Wolontariat i inne formy pracy niezarobkowej poza gospodarstwem domowym – 2011). Główny Urząd Statystyczny (Central Statistical Office), Warszawa. Research project on the social economy in Poland which resulted in the first book providing comprehensive data on the Polish social economy and its subsectors (Nałęcz, S. (ed.) Gospodarka społeczna w Polsce. Wyniki badań 2005-2007, ISP PAN, Warszawa).